If we exclude the top five players in the 2018 rankings, probably no other player has the same raw talent as Grigori Denisenko among the draft eligible. As a traditional Russian winger, Denisenko can boast in his arsenal tremendous puck-handling skills, excellent skating with high top speed, and a good nose for spotting an open partner. All this packed in a compact 5-foot-11, 175-pound body that will surely cause him to slip down a bit in the draft day, even if size in the NHL has not a dramatic impact as it used to have. Denisenko has spent most of his year with the national junior team and playing in the MHL, the Russian junior league, where he posted very good numbers for a player of his age, with nine goals and 22 points in 31 regular season games. With the national team, he was particularly good, amassing six goals and 11 points in the different tournaments. At the end of the season, Denisenko had his KHL debut, playing in the playoff against SKA, without scoring any point but having a good number of great offensive plays. In an interview with the KHL official site, Denisenko’s first coach Boris Pushkaryov praised his pupil’s game. Denisenko didn’t have a good showing at the Ivan Hlinka tournament, playing in only one game. However, he played on the first line at the U18 5-nations tournament in Michigan last February with other top prospects Alexander Khovanov and Andrei Svechnikov. Denisenko has a lot of talent, and it means that naturally many NHL teams will be behind him. He’s definitely got top-10 talent, but the Russian Factor and his size will most likely push him down. A pick in the second round is not out of question, even if he will be probably one of the first 31 players called. Many NHL teams may also be concerned by his maturity. He likes to (over)play the puck and is prone to “bad discipline” penalties. As he will keep on playing in the KHL, though, it is most likely that these kinds of issues will be ironed out. “Denisenko is one of the most skilled players in his draft class. On a pure talent level, he’s one of, it not the top Russian in this draft class (and no I didn’t forget about Andrei Svechnikov). 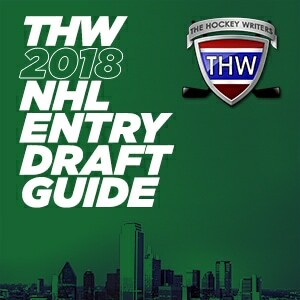 Denisenko manipulates the puck so well and does so at high speeds.” – Corey Pronman, The Athletic (from “Grigori Denisenko is a top prospect for 2018 NHL draft, despite his numbers”, March 19, 2018). Denisenko has definitely a high ceiling, but he is strictly a scoring-line player. He has all the tools to become a first-line player in the NHL, at this point it’s just up to him. Denisenko was a part og several team achievements with Lokomotiv Yaroslavl and Team Russia at domestic and international tournaments. 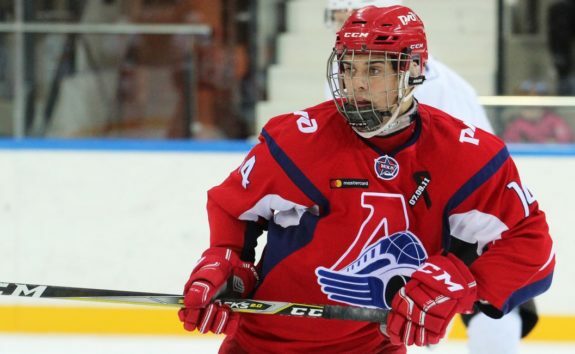 If he gets drafted high, he will be the highest-ever pick out of Lokomotiv Yaroslavl. Other Lokomotiv Yaroslavl alumni selected in the first round include Ivan Provorov (but drafted out the USHL), Denis Grebeshkov (2002 No. 18 overall pick) and Semyon Varlamov (2006 No. 23 overall pick).